Wow, another large workbook I have to sort through to find the few useable tidbits for my classroom. Is that what you’re thinking? Well, naysayer, I beg to differ. You have hundreds of pages, nearly 600 actually, of worksheets and activities that are useful in Kagan Classrooms, in centers-remediation, in small group settings, or for whole classrooms. You also have tons of graphic organizers, writing papers, and open-ended worksheets that can be used in any classroom in any teaching style. We worked hard to make things that had reusability and flexibility, and each resource is crafted to fit the common core standards in math and ELA in the grade level you are buying. 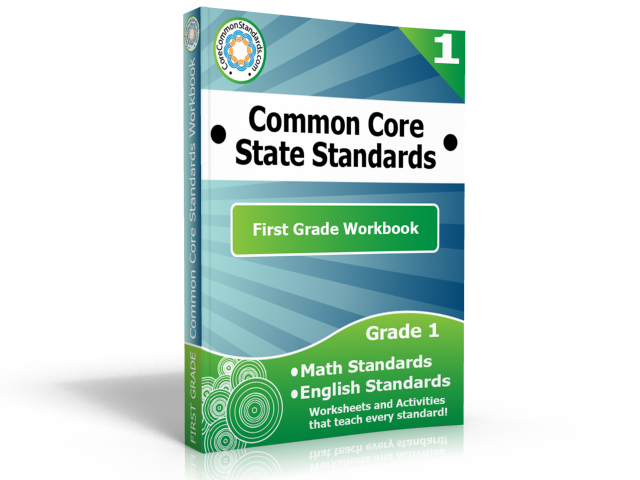 Take a look at our free previews of the First Grade Common Core Workbook to find things that you can use in your room in your own particular style. Every teacher has their own way of doing things, and we just want to support you!